Today a judge from Petah Tikva military court ruled to extend the interrogation and detention period of Nasser Shriem for another 9 days. Nasser is the husband of Fayrouz Shriem, who was earlier detained and tortured for 28 days by Israeli intelligence officers seeking to find her brother Ashraf Na’alweh, who is accused of attacking an illegal Israeli settlement north on the West Bank. Fayrouz suffered from ill-treatment in detention which included harassment, humiliation, long interrogation sessions, sleep deprivation, threats, psychological pressure, medical negligence and she was kept in an unfitting environment for women in detention. Whilst Fayrouz was released on 8 November, Nasser was then detained on 19 November. He has been held at Petah Tikva interrogation center and denied access to a lawyer. Nasser is a university professor at al-Najah University in Nablus where he lives with his family. The family is currently under an extensive collective punishment campaign by Israeli authorities. This has so far included the arrest and detention of Ashraf’s mother father and other brother, Fayrouz and her husband Nasser, and the threatened demolition of both Ashraf and his parents’ homes. 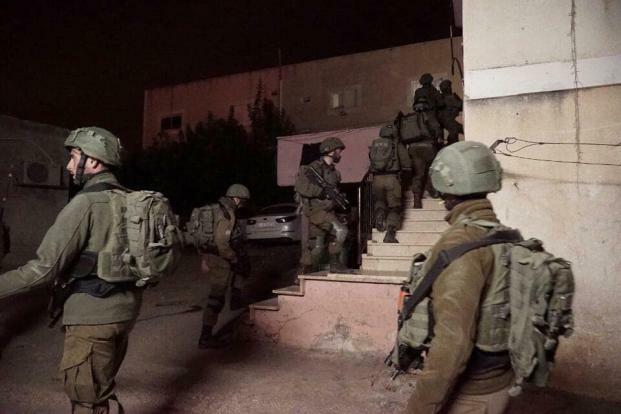 The village they live in as well as neighbouring Palestinian towns have also been subjected to night raids and some of Ashraf’s neighbours and friends have also been arrested and interrogated.